Hello from the Yorkshire Sculpture Triangle! Founded in 2011, we are a partnership of four arts venues that sit in close proximity – the Henry Moore Institute, Leeds Art Gallery, The Hepworth Wakefield and the Yorkshire Sculpture Park. Yorkshire is home to this exceptional group of dedicated sculpture galleries, and Leeds Art Gallery, which holds one of the most significant modern British sculpture collections outside of London. Yorkshire is also where both Henry Moore and Barbara Hepworth developed their hugely influential sculptural practices. With all this in mind, our goal is to put Yorkshire firmly on the map as the key destination to see world-class sculpture. We do this by working collaboratively to celebrate the artistic heritage of the region and to promote exhibitions of contemporary and modern sculpture across our venues. In recent years our ambitions have grown, and not only do we promote and celebrate the existing programmes of the individual venues, but we also work on collaborative projects and commissions. This summer we launched our biggest joint project, Caro In Yorkshire, presenting the UK's largest celebration of the sculptor Sir Anthony Caro. Comprised of two complementary exhibitions at The Hepworth Wakefield and Yorkshire Sculpture Park, Caro In Yorkshire showcases over 80 works spanning 60 years of Caro’s career, from early figurative studies on paper to large scale works in the open air. 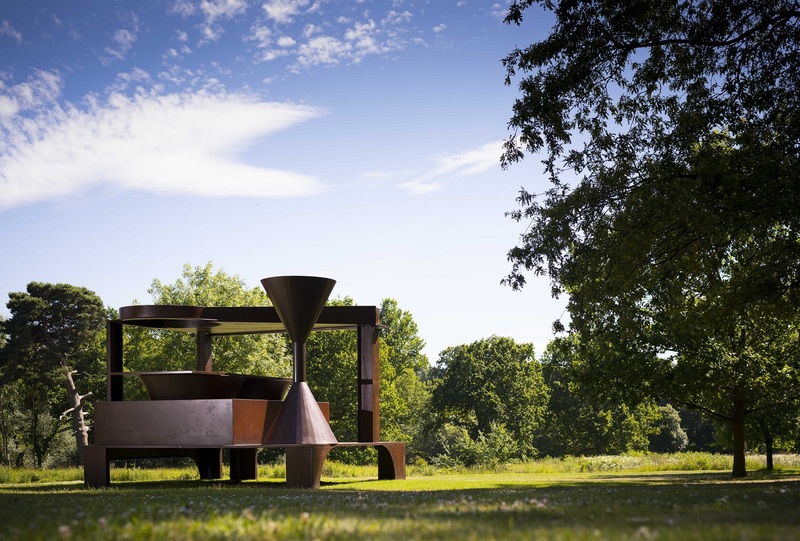 Caro in Yorkshire also presents a selection of Last Sculptures, created shortly before the artist’s death and exhibited in the UK for the first time. Over in the Leeds corner of the Sculpture Triangle are two very diverse and ambitious exhibitions, both packed full of stimulating sculpture. At Leeds Art Gallery the British Art Show has taken up residence. This is the 8th incarnation of the British Art Show, which launched in 1979 in Sheffield. Taking place every five years, this exhibition celebrates the work of artists who are making significant contributions to the arts in Britain today. In collaboration with British Art Show 8 we have just launched Post Forma, a major new commission by the acclaimed Italian designer Martino Gamper. This new commission invites members of the public to bring along belongings to be renewed rather than thrown away. As part of Post Forma we have held demonstrations of design interventions by local artisans, and workshops specialising in book binding, weaving, shoe cobbling and chair caning. A working loom has also been placed in the sculpture galleries at Leeds Art Gallery, where artisans work to create a woven wall hanging that will evolve throughout the exhibition. 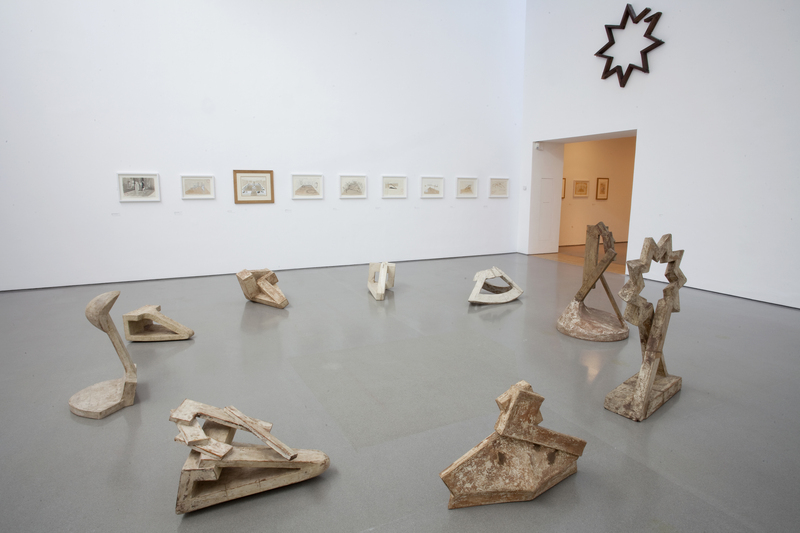 Next door to Leeds Art Gallery (and connected by bridge) the Henry Moore Institute is currently celebrating multi-sensory encounters with sculpture, through over 120 works by Romanian-born artist Paul Neagu (1938-2004). Neagu, who actually featured in the very first British Art Show, believed that we should use sounds, smells, taste and touch, not just our eyes, to encounter art and the world. Spanning 1968 to 1986, the exhibition Palpable Sculpture displays a vast and impressive collection of Neagu's work that includes sculptures, drawings, films, texts and archival material, much of which has never previously been exhibited. Settling in Britain in 1970, Neagu went on to teach at London’s Hornsey School of Art and at the Royal College of Art, teaching some of Britain’s most successful sculptors, including Antony Gormley, Anish Kapoor and Rachel Whiteread. Join us for an Unfold Twitter Takeover this Tuesday where we'll talk more about the work of the Yorkshire Sculpture Triangle and tweet about all things sculpture-related! Keep an eye on our website or @YSculpture for news of our future exhibitions and projects.